The champion of a 4G smart grid has a new partner in 2G and 3G cellular smart grid player SmartSynch. Grid Net, the startup founded on the idea of linking the smart grid via 4G networks, has just announced a partnership with SmartSynch, the company that links smart meters via 2G and 3G cellular networks. Consider it another indication that would-be smart grid players will need to work with the networks they have, not the networks they wish they had. The two companies announced on Tuesday that SmartSynch has joined Grid Net’s software reseller program, becoming the third partner (General Electric and Landis+Gyr are the others) to offer the San Francisco-based startup’s software to back up smart meter deployments. Whether this means that SmartSynch is accelerating into 4G, or that Grid Net is moving into the 3G world, remains to be seen. Tuesday’s announcement promised the two companies will “soon announce their first project together,” but Grid Net Marketing Director Scott Truitt told me in a phone interview that he couldn’t give any details on that project. It’s been awhile since we’ve heard from Grid Net, which is seeking to use WIMAX to link smart meters and other smart grid devices in a high-speed, high-bandwidth wireless network. In the company’s early days, founder Ray Bell made it known that he believed lower-bandwidth mesh networks -- including that of current U.S. market leader Silver Spring Networks, which he led as CEO from 2003 to 2005 -- weren’t up to the smart meter networking task. Grid Net’s first project, with Australian utility SP AusNet, used WIMAX to link up smart meters to Grid Net’s network and software management platform. 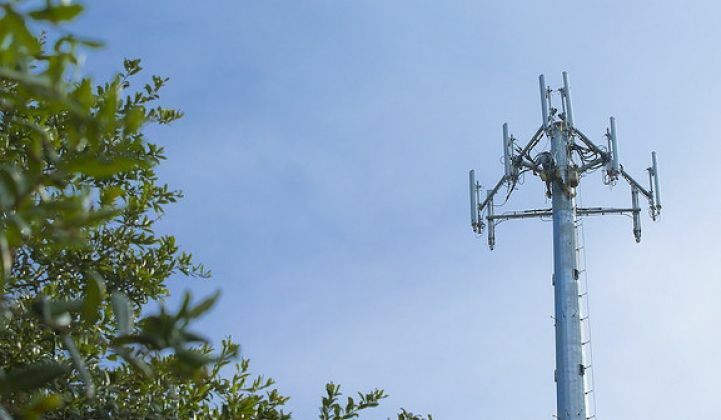 But starting late last year, the San Francisco-based startup started backing away from its staunch WIMAX stance, announcing in December 2010 that it would support LTE, or Long-Term Evolution, the 4G technology favored by Verizon, AT&T and other major carriers. In the United States, Sprint has been the only major carrier to stick with WIMAX, although Australia has been more welcoming of WIMAX. Even so, Grid Net’s second project, with Australian utility Ausgrid, uses a network that combines WIMAX and LTE. And while Grid Net inked a partnership with Sprint in the fall of 2010, so far it hasn’t yielded a publicly announced project. As of today, “We continue to explore opportunities with Sprint, but have yet to collaborate on a specific deal,” Truitt said. SmartSynch, for its part, has long linked commercial and industrial interval meters via 2G cellular networks, and has partnerships with Verizon, AT&T and Sprint. It has been moving into 3G networks as well: in February, it announced a partnership with Qualcomm to create a 3G platform for developing smart meter applications both in-house and via third parties. SmartSynch has been slower to move into the residential smart meter market, with one smaller-scale project with Texas-New Mexico Power launched last year and a bigger, 1.8-million-meter project with Michigan utility Consumers Energy announced in September. It makes a modular communications box called the GridRouter to serve the distribution grid, and on the solar power front, it’s working with the Tennessee Valley Authority to link up customers’ solar systems. It will be interesting to see how SmartSynch decides to deploy Grid Net’s real-time, high-speed communications capabilities. Grid Net doesn’t just do smart meters, it should be noted. Its third project in Australia, for customer ETSA Utilities, involves linking lots of air conditioners via WIMAX to cycle their compressors on and off to manage peak demand -- i.e., demand response. Another big question, of course, is what kind of network SmartSynch will ask Grid Net to support. Truitt told me that Grid Net has always been “network-agnostic,” despite its early emphasis on WIMAX. Indeed, its current software supports a laundry list of networking technologies, including Ethernet, FTTH, 3G HSPA, 3G EV-DO, 4G WiMAX, ZigBee and HomePlug. That may be so, but Grid Net’s “machine-to-machine network operating system” software, built on standards including Internet Protocol (IP) and its implementation of embedded SELinux, is definitely designed for broadband wireless. That differentiates it from competitors such as Silver Spring and Trilliant, which have built lower-bandwidth (and thus cheaper to implement) wireless mesh technologies that now serve millions of smart meters around the world. A big question facing Grid Net is whether utilities want to spend the extra money on a faster, more data-rich network to run the relatively simple tasks that smart meters handle today. That equation may change as both WIMAX and LTE-based 4G networks become more broadly available.